Everyone needs a protective case for their phone but nobody wants a boring one. 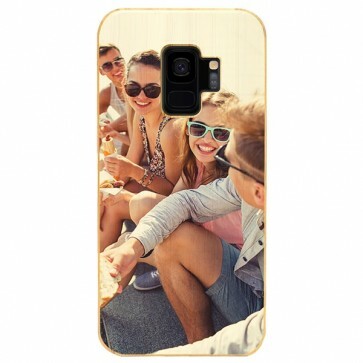 Use your own photos to design a custom Galaxy S9 case from wood for outstanding protection and a personal look. Give your phone the protection it needs and the natural look you want. Start creating your custom Galaxy S9 case. Make an amazing and completely unique phone case using your own photos, designs, or logos. It’s your case so you make the choices, we’ll just make it and ship it to you. Just because you can put a personalised print on your phone doesn’t mean it won’t provide great protection. Our wooden cases have a tough plastic inner case with a bamboo back cover, ensuring that your phone is protected against bumps and scratches. Bamboo is actually one of the strongest natural materials around. The close fit and natural feel keep your phone feeling and looking great. Protect your phone with your unique personalised phone case. Order your personalised Galaxy S9 case now.